Ahmedabad: Prime Minister Narendra Modi today started campaigning for 93 seats which goes to polls in the second phase of Gujarat election. Polling for the first phase of 89 seats will be held tomorrow, while the second phase voting will be held next Thursday. Votes will be counted on December 18. The BJP has ruled the state for the last 22 years. 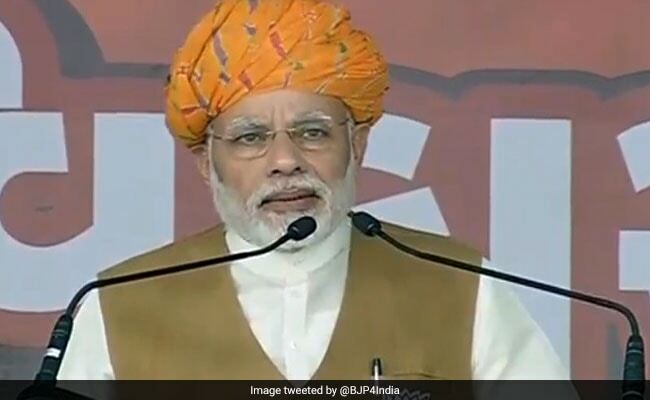 PM Modi addressed the first rally at Bhabhar in Banaskantha district. From there he went to Kallol in Gandhinagar. 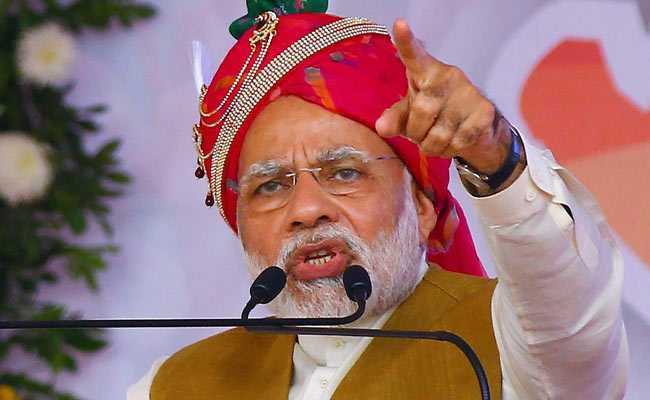 He is then scheduled to address a rally in Himmatnagar and in the evening PM Modi will address a rally in Nikol area of Ahmedabad. Hours before Gujarat votes in the first phase of assembly elections, Prime Minister Narendra Modi signaled again that the war over suspended Congress leader Mani Shankar Aiyar's "neech" slur against him is nowhere near an end. At an election rally he said even Congress president Sonia Gandhi has used the word against him, attributing what he called their "hatred" of him to his modest origins." "Do you know what happened in Rajkot...Dr Manmohan Singh met the press and after that the elderly Mansukh Kaka met him. He presented him a book containing the scams under the UPA. I congratulate Mansukh Kaka who spoke up for the truth and for honest governance," says PM Modi. One Congress leader, a former Rajasthan CM himself, wrote a letter that Gujarat cannot use water from Mahi River. He called for Sujalam Sufalam Yojana not to be implemented he even complained to UPA government. But I said come what may I will provide water to North Gujarat, says PM Narendra Modi in Kalol. Should one care for the chair or the nation...the chair does not matter, what matters is the country. I will work for the country tirelessly, says PM Modi. Gujarat Chief Minister Vijay Rupani said that the "flood of people in PM Narendra Modi's Bhabhar rally is suggestive of the positive outcome" of Gujarat elections. Prime Minister Narendra Modi said today that suspended Congress leader Mani Shankar Aiyar had spoken in Pakistan about "getting Modi out of the way" for the sake of peace between the two countries. This part of north Gujarat has made strides in solar energy, says PM Modi. This rally is huge. I want all those Pundits speculating on this election to come and see the fervour here: Prime Minister Narendra Modi in Bhabhar. PM Modi to address a rally in Gujarat's Bhabhar shortly. Bhabhar will go to polls on next Thursday during the second phase of Gujarat elections. PM Modi arrives in Bhabhar where he will address a rally. 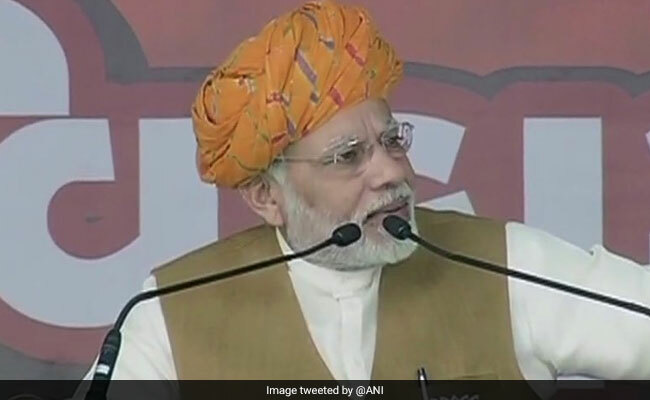 On Thursday, PM Modi addressed a rally in Surat, where he attacked Congress leader Mani Shankar Aiyar for calling him "neech" and said by this he has insulted all the Gujaratis who will give a befitting reply to the Congress by voting for the Bharatiya Janata Party (BJP) in the assembly elections. PM Modi to kick off campaigns for second phase of Gujarat election from Bhabhar.